But upon teleporting in, Fairy Ruby sees there are no more freshly dug graves to examine. 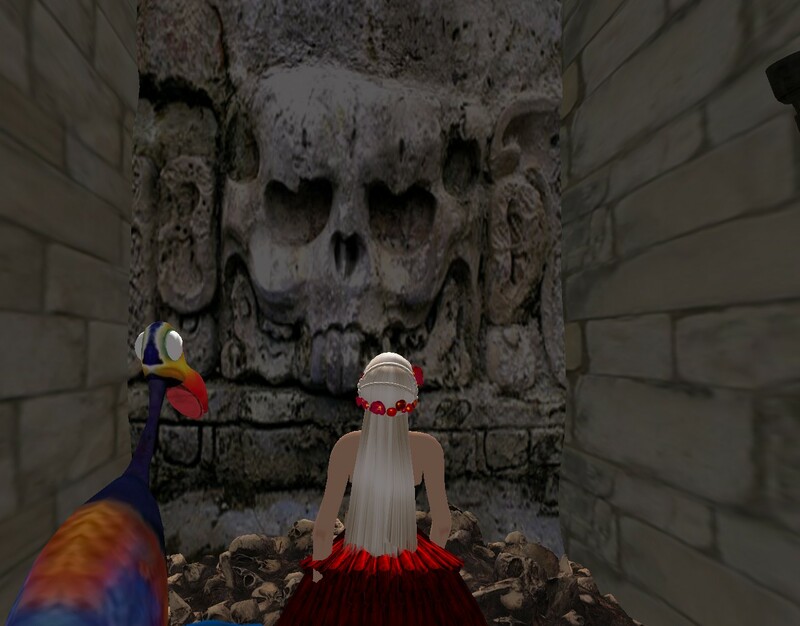 She logs out then back in to make sure all objects at the small cemetery have properly rezzed. No difference. 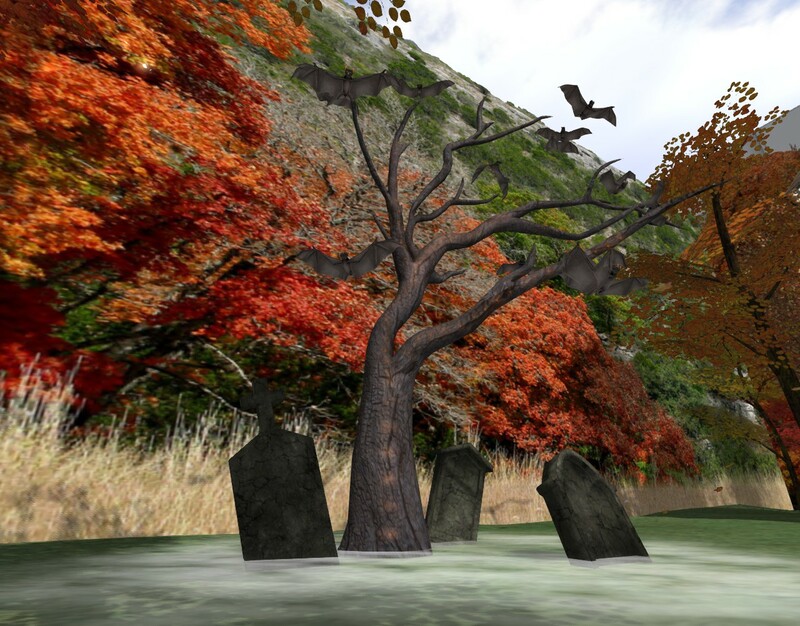 Just three remaining graves surrounding a Halloween Bat Tree. All have been around for a while. Maybe I better talk to Axis tonight about all this. “Yeah. Sorry it turned out a little hunchbacked.” He attempted to adjust his unwieldy arms so that they weren’t as much all over the place.